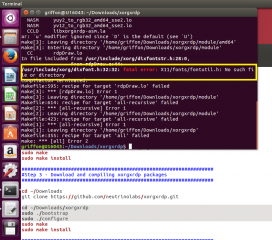 Recently, a lot of our readers have encountered issues when performing the custom installation of xRDP on Ubuntu 16.04.3 version as described here. 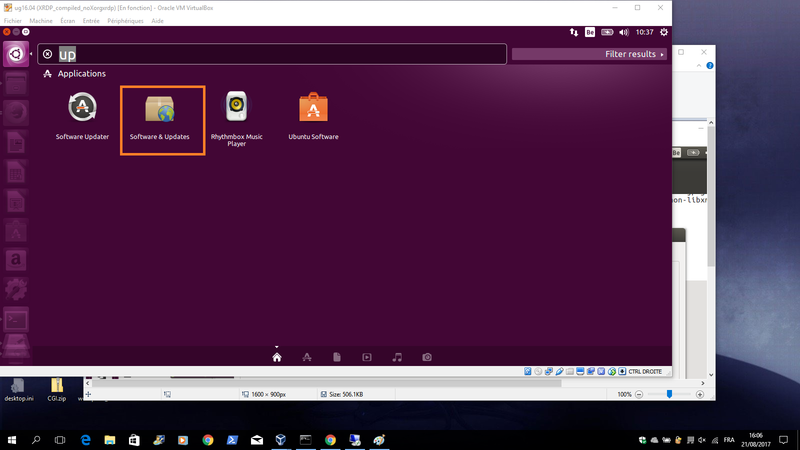 In this post, a script to automate the custom installation process (version 1.9) was provided and used to work on Ubuntu 16.04.2 release….until now. After some digging and after receiving some feedback from some of our followers (thank you Brian ! 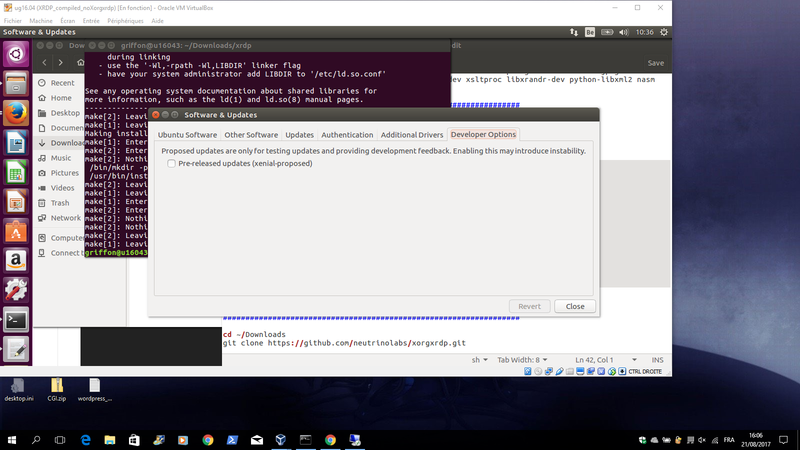 ), it appears that something has changed in the Ubuntu 16.04.3 that has broken the xrdp custom installation process. There is a small bug that prevent the script to complete the installation. In this short post, we will quickly explain the problem and try to provide some solutions and workarounds. In our previous posts, we have described the process to perform a custom installation of xRDP based on the information made available by the team behind xRDP software. In order to automate the installation, we have been providing for some time now, a nice little script that perform the installation for you. 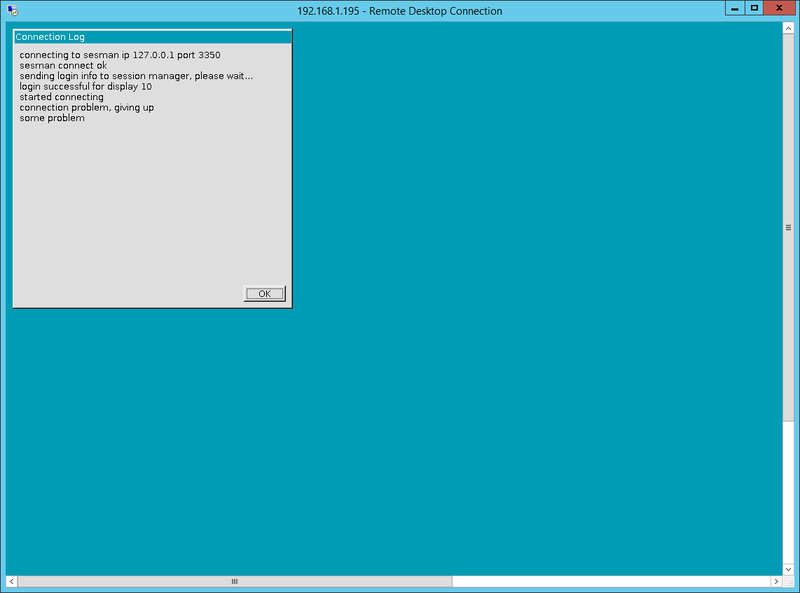 The latest version of the script is set to 1.9 (install-xrdp-1.9.sh). 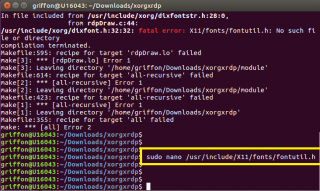 However, people trying to run the script on Ubuntu 16.04.3 release will find out that the installation did not proceed as expected and that the xRDP solution does not work for them. Indeed, if you leave your system unattended during the installation, your system will reboot and you would assume that the installation has been completed and successfully performed. When you connect through your remote desktop client to your Ubuntu 16.04.3 machine, you will see the xRDP login prompt. After putting your credentials and pressing the OK button, you will be only presented a green desktop and you will never see your Unity Desktop interface. You will be either disconnected after some time or you might see the following error dialog box…. Obviously, this small bug has detected by multiple person and we have been notified that a fix was available. Actually, you can fix the “compilation” problem in two different ways. Because the compilation process is complaining about a missing file, to overcome the situation, you could simply manually create the file or obtain a copy of the file and place it in the correct directory on your system. If you want to manually create the file, perform the following actions. a quick fix package has been made available but it’s not available by default. 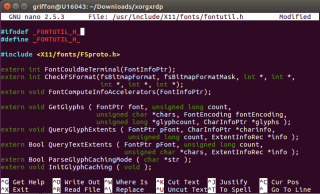 To be able to compile xrdp, you will need to enable Developer Options Ubuntu package download. Press close button and you will be informed that info about software is out-to-date. Press the reload button and wait for the process to complete. This is for this post ! 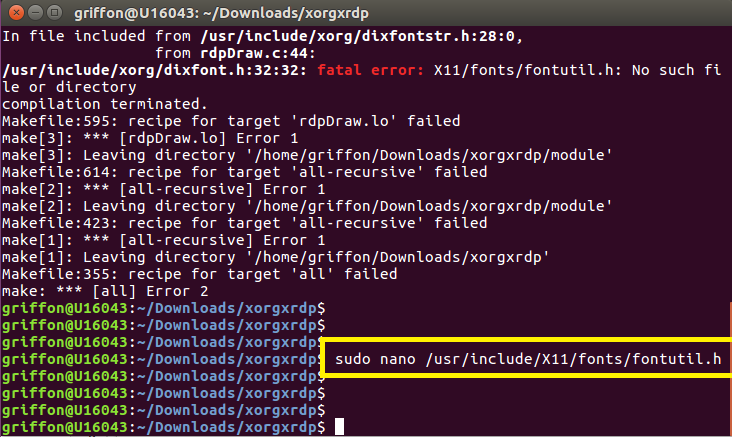 As you can see, changes in Ubuntu can break your xRDP installation. The small bug detected recently has shown that a simple missing file can break the compilation process. The custom installation script remains valid as long as you perform the correct actions to either create your fontutil.h file or if you enable the proposed repository. We wanted to describe both options as in some environment, deploying developer options packages might not be a good idea. Ubuntu – Ubuntu Gnome to look like Unity or Windows 10 in the near future ? Thanks for the instructions. Tried it out today. The workaround seems not to be needed any more. Have you checked your log files to see what the problem can be ? Have you checked this post (see http://c-nergy.be/blog/?p=11043) ? Have you checked this post (http://c-nergy.be/blog/?p=11061) ? 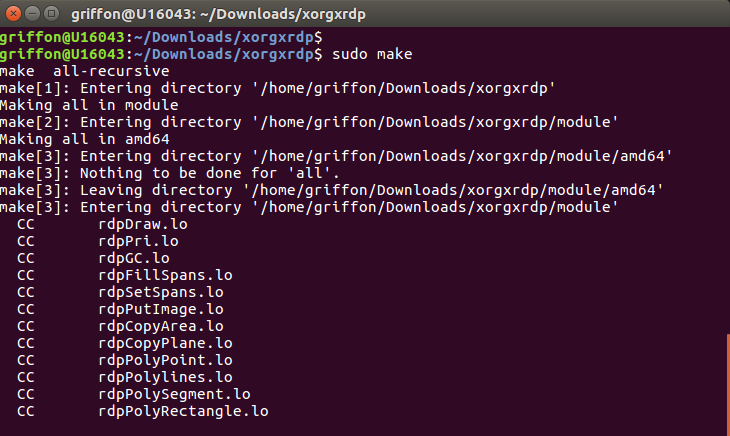 many thanks for providing this support to get xrdp running on Ubuntu! I went through the articles (fontutil.h was already fixed, allowed_users changed to anybody). But I still got a “black” screen (not a green one, but a real black one). 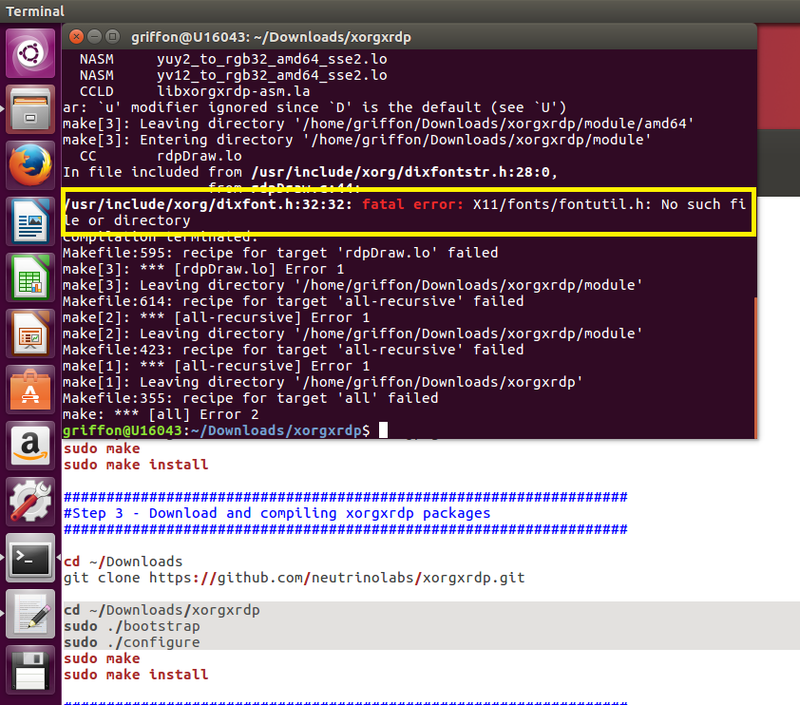 The only thing I configured on my Ubuntu machine “abnormaly” was to use the proprietary nvidia graphics driver. 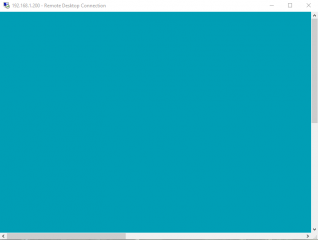 After changing back to the open source drivers I was able to connect via xrdp …. But actually the open source drivers are not an valid option for me to run my physical machine. 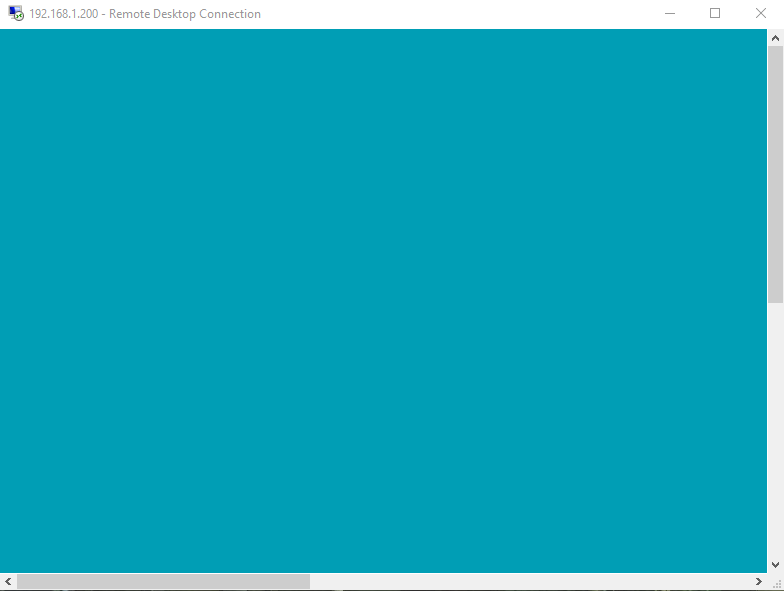 Any idea how to get xrdp running with the proprietary nvidia graphics driver? we are aware of the fact that NVIDIA drivers have issues with XRDP.. Some people found some workaround in the past…At this stage, as we are not working with NVIDIA Graphic cards, we never had the issue and we never really further investigate….. IF time permit, we might want to have a look into this additional xrdp challenge…but might take some times…. First of all I would really like to thank you. I learned a lot from all your blogs. with that information I know were to look now. second, if I comment on the wrong post I’m sorry, I’ve read them all from you on this topic maybe you could move it then. Currently the desktop I am using was on Unbuntu 16.04.04 And I couldn’t get it working in the beginning. But now it seems I found a solution. This is what I did. And what do you know. It works…. at least for me. Hello, thank you for all your work and information. 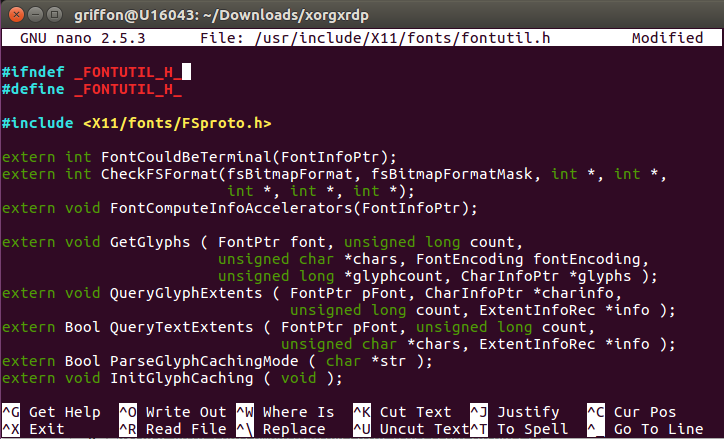 After doing ‘sudo apt-get install xfonts-base’ it worked. Thank for the feedback and for visiting our blog…. 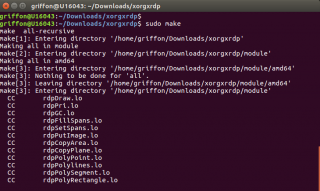 I installed xrdp from script and without any problem. But after installation and rebooting the system , OS get stack at login page with disabled mouse and keyboard and i can do nothing at all.